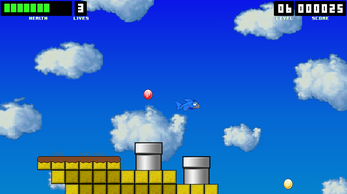 Daffy Fish takes the simple gameplay mechanics of Flappy Bird and takes them to the next level, in the form of the Player Character now being a Flying Fish with the ability to leave the water for short periods of time. 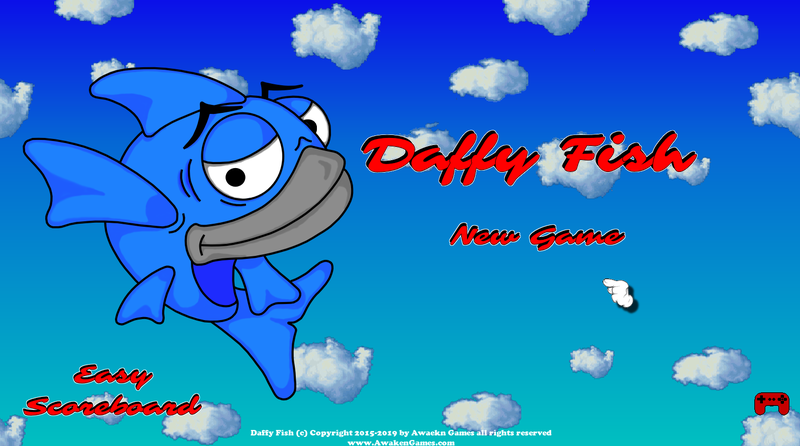 Daffy Fish isn't a game for casual game players, but for those old-school players looking to test their skills to see just how far they can go. Currently Daffy Fish has 4 Worlds with 5 Puzzle Levels Each, and the gameplay is simple, navigate through each level, avoid hazards and collect as many goodies as you can. The Game has 3 gameplay modes, Easy, Medium and Hard and the number of total levels you will have to play is limited based on the game's difficulty. 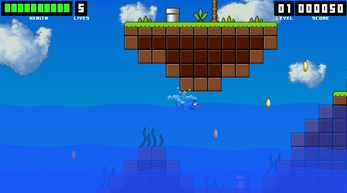 Controls are simple [Spece] to Swim, [<] Slow Down and [>] to Speed Up. 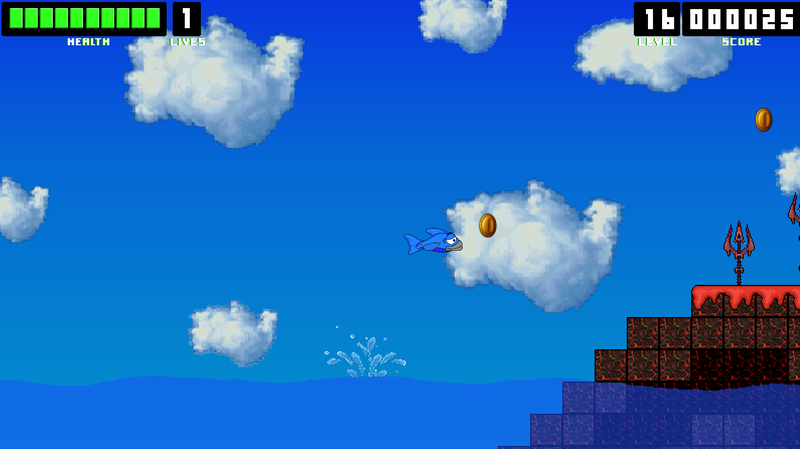 At the end of each level you will earn an Extra Life, along with a point bonus based on the game's difficulty. I have loads of other gameplay ideas to add to this product, but for now I'm putting it out there to see it generates enough of a fan following to see if I should take it to that next level. 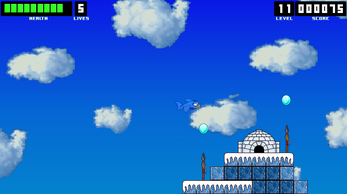 Future Expansion Plans call for NPC challenge levels for each world and a Unique Boss level at the end of each.